Social networking apps are the most used apps among people from the whole world. We use this kind of app to talk with friends, share captured moments or to interact with people from all around the world. Many apps are developed for these purposes however, finding the best and most amusing app can be hard. So, we searched and discovered one revolutionary app for sharing and listening to short voice notes, communicating with people worldwide on another level. Let’s see what the app is all about. What is Say-so all about? Say-so is developed for IOS users as an entertaining social media app created to solve a simple problem. The social networking app is very easy for using, offering thousands of people to share short voice notes or to listen to other people amusing and insightful voice notes with only clicking a button. On this app, users are able to record and post voice notes directly from their phone into the app, interacting with their listeners sending them a reply as a Say-so text or a bouncing voice note. Also, the app will have a Google Play version in February 2018. The app changes the way people interact capture moments and talk about what’s happening worldwide. 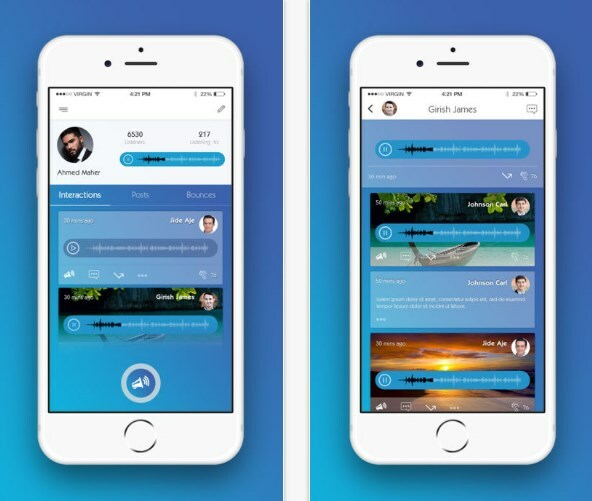 As a revolutionary social networking app, this app offers its users to record and post their own 45 second short voice notes or to listen to the voice notes of other people on the app. These voice notes are quite amusing and entertaining, allowing users to interact with people from the whole world. The app also allows its users to take a photo and caption it with a voice note on the bottom, allowing their listeners to listen the caption while looking at the photo, known as Say-so pic. On this app, users can reply to voice notes with a Say-so text or even to bounce a Say-so sharing post with their listeners. With the app, users can easily send private messages called silent Say-so and effortlessly enjoy the unique wheel scrolling timeline. The app allows listening to voice notes from celebrities and people worldwide just with clicking one button. Users will have their own listeners to share their interesting voice notes.